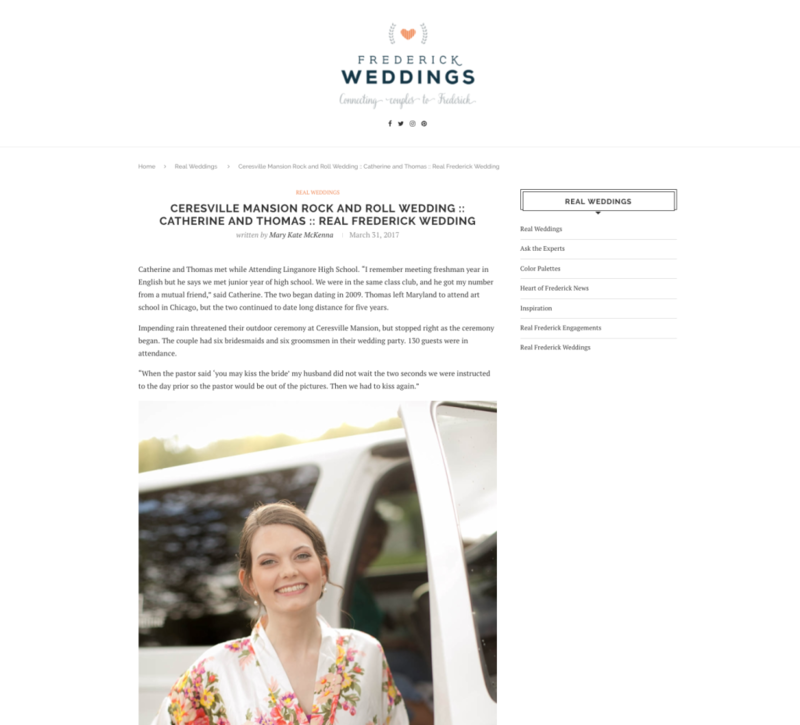 Turner Photography Studio was featured on Frederick Weddings with their real wedding, Ceresville Mansion Rock and Roll Wedding: Catherine and Thomas. See the full feature here. The International Academy of Wedding and Event Planning was featured on Special Events with their article, Thinking About a Rebrand? Here’s Where to Start. See the full feature here. Destination Weddings Travel Group was featured on Black Bride with their insight in the article, The Secrets To Honeymoon Packing Revealed. See the full feature here. Cocoon Events Management Group was featured on AllSeated with their article, How to Put Together the Best Vendor Team. See the full feature here. The International Academy of Wedding and Event Planning‘s 2017 International Trend Report was featured on The Party Goddess Blog in the article, Wedding Trends 2017: Create a Story. See the full feature here. Turner Photography Studio was featured on United With Love with their real wedding, Sugarloaf Mountain Pink Garden Wedding. See the full feature here. OFD Consulting was featured in Special Events with our article, Smart Ways to Respond to Bad Reviews. See the full feature here. Cocoon Events Management Group was featured on WeddingIQ with their article, Trend Alert: Creating Scenes Within an Event. See the full feature here.